Home LifeStyle 11 Travel Experts’ Tips for Packing Light – Video Included! 11 Travel Experts’ Tips for Packing Light – Video Included! Adventure is calling! Time to get your packing on for that vacation you’ve been planning for what seems like eternity. But doesn’t just thinking about hauling all that luggage give you a backache? It does to me! So consider this your go to guide for all things simplified when it comes to traveling. Make sure to check out our video at the end of the article for a packing tutorial! Don’t bother packing your hiking boots or the bulkiest pair of shoes you want to take with you on your trip. Just wear them on the plane, in the car or however you are traveling. If you are afraid of being uncomfortable, wear socks, take thin paper slippers with you and then slip off your shoes while traveling. 2. Bring black legging style stretch pants. These leggings look great with almost any t -shirt, jacket or shoes. They are easy to pack because they’re not bulky. They’re also comfortable enough to sleep in, run and walk for hours. They offer the same comfort as sweat pants but look a lot dressier. You might be thinking “…really?”, but by packing a jar of coconut oil you can leave your lotion, chapstick, hair conditioner, and deodorant behind. Coconut oil is a powerful moisturizer and it has antibacterial properties that make it a natural alternative to deodorant. You may want to test it out beforehand as this does not give everyone enough sweat coverage. Coconut oil can also be used to cook and bake with on your vacation. Roll up your clothes, such as underwear and socks, and fit them into the odd spaces of your suitcase. Belts, ties, phone cords, headphones, etc can be stretched along the edges of the suitcase. If you’re able, you can wash your clothes by hand using body wash or soap so you can take even less clothing with you. After washing, wring out the water and hang it up to dry. If you have access to a laundry machine, that’s even easier! Protein bars are always a good snack item to bring because they don’t take up much room yet they’re very filling so you won’t have to bring as many of them. 8. Ask the important questions. Can I buy it when I get there? What are the bare essentials? What can I do without? 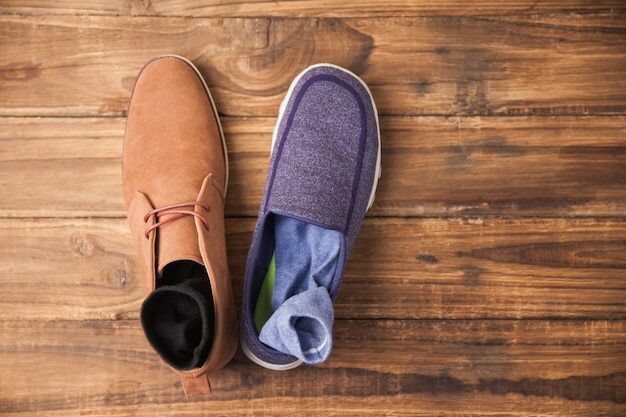 Pack socks and other small items inside any shoes you bring. This helps eliminate wasted space. Also pack small items in plastic bags to keep organized. You can make your same outfits appear different using accessories such as necklaces, scarves, hats, sunglasses, and other jewelry. Mix and match to get the most possible choices so your outfits can all be worn a few more times without feeling repetitive. A sarong is a blanket, a towel, a skirt, a bag, a privacy wall, a changing room, and a sunshade! Items such as this one can be used in several different ways and instead of bringing all those things, one item can serve all those purposes. Dr. Bonners magic soaps are something to look into. They are made from olive oil and available in many different natural scents. This one bottle of soap can serve as a bath soap, shampoo, laundry soap, toothpaste, shaving lotion, deodorant, pest spray, dishwashing soap, massage oil, and body rub.